India - a Tourists paradise: Health - Red Vs Orange Carrot (Gajar) - Which is More Beneficial? 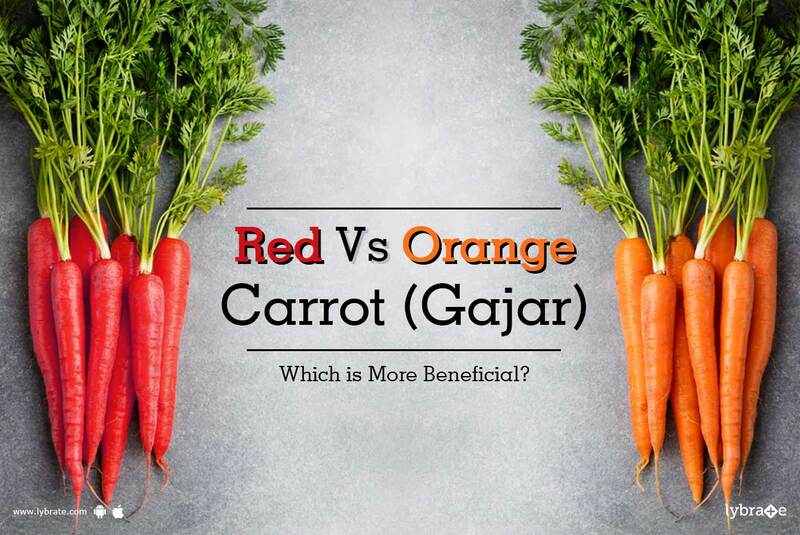 Health - Red Vs Orange Carrot (Gajar) - Which is More Beneficial? arrots are one of the healthiest vegetables on the planet. They come in various colours and sizes and are widely available all over the world. Historians believe that carrots have been grown and eaten since the 1500s. Initially, carrots were cultivated in purple, white and yellow varieties. The orange and red varieties came much later. Whatever be their color, there is enough evidence to prove that carrot is a super food and benefits of eating carrots are enormous. Each variety of this antioxidant rich food, supplies us with surplus amounts of vitamins. Carrots are great for weight watchers as it is a low calorie food. Red carrots are sweeter in taste than the orange variety. Orange carrots are less sweet, but have a pleasant taste. Red carrots are generally available in the winter season, whereas the orange ones are available throughout the year. Red carrots contain a compound called lycopene, which gives it its red colour, the one also found in tomatoes. Lycopene protects our body against free radicals. It is believed to fight cancer cells and prevent heart disease. Vitamin A found in red carrots is essential for healthy eyes. Red carrots also contain phytonutrients called anthocyanin. Anthocyanin are powerful antioxidants that can help prevent cell damage and decrease risk of heart attack. Orange carrots are loaded with vitamins A, E and K. Vitamin A is essential for eye health, vitamin K aids in blood clotting and improves bone health whereas vitamin E boosts the immune system. Vitamin E, also known as a skin vitamin supplements skin and gives it its natural glow. Beta carotene present in orange carrots has excellent antioxidant properties and protects the body against oxidative damage. Further, they contain a pigment called lutein, which helps decrease the risk of macular degeneration and other age-related diseases. We can find a vast spectrum of colours in nature, be it fruits, vegetables, flowers, plant or birds. According to Ayurveda, colours have a lot of significance when it comes to food. Ayurveda talks about the importance of colors in diet and recommends a rainbow diet for health, beauty and anti ageing. A rainbow diet is one that incorporates all naturally occurring colours in food. So, you could increase your health quotient simply by making your plate vibrant with colourful fruits and vegetables. Thus, eating different varieties of carrots could surely be one good way to include colours and a host of nutrients in our diet. Raw carrots offer maximum nutritional benefit; however, they are also the simplest vegetables to cook. They can be steamed, boiled, added to stews, soups or salads. Doctors recommend eating two carrots per day for better eye health. Include Carrots in your plate today and every day! If you wish to discuss about any specific problem, you can consult a doctor and ask a free question.